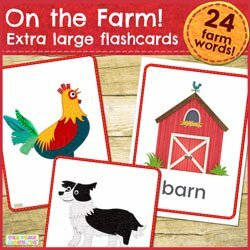 A great resource for teaching farm words! 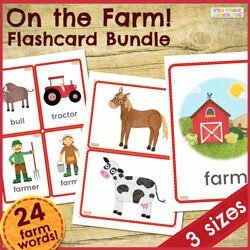 Our complete set of printable ON THE FARM FLASHCARDS are now available in our Teacher Pay Teachers store! 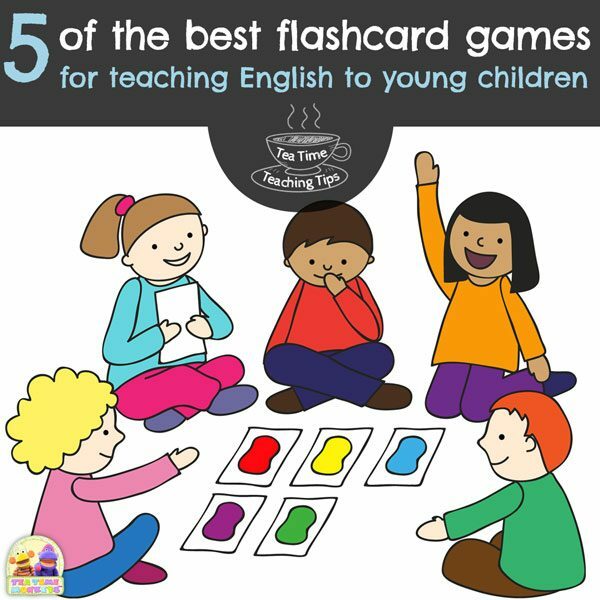 With beautiful, picture-book quality illustrations, a simple, classic font and rounded corners, these flashcards are perfect for young children and will make a delightful addition to your home school or classroom! 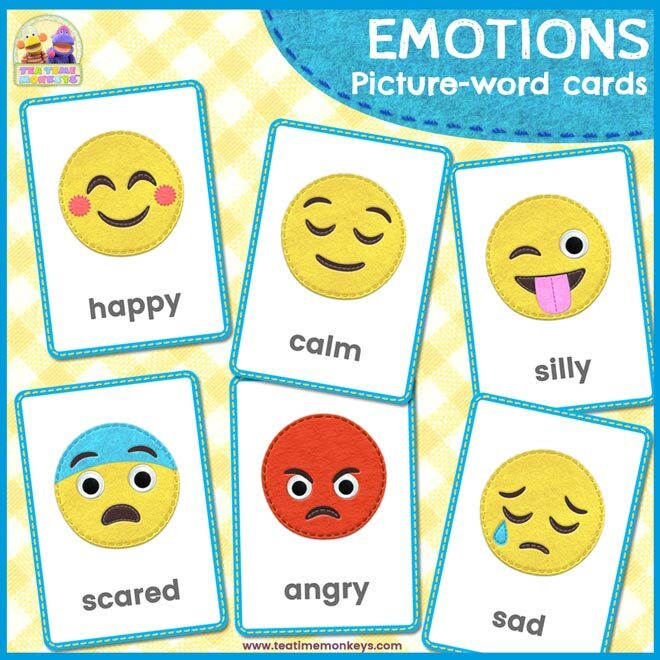 Each set contains picture-word cards, picture-only cards and word-only cards, allowing you multiple ways to use them. 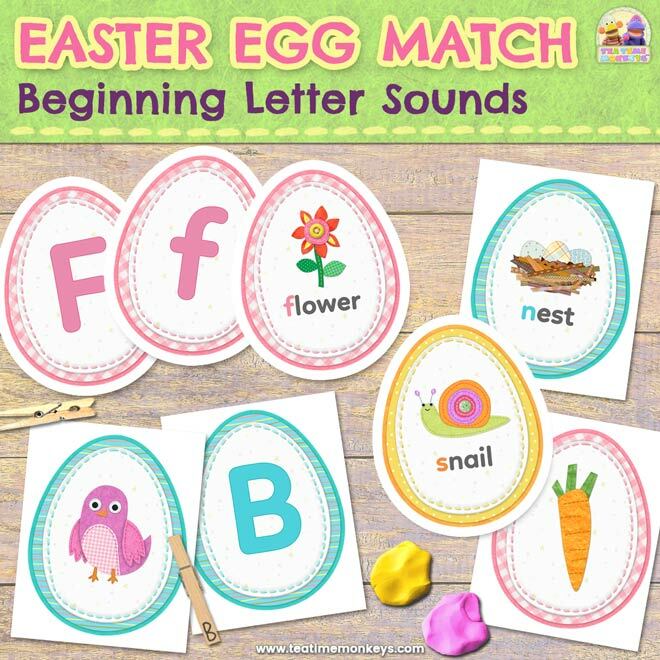 There are 24 words in each set, including U.S. and international English variations. 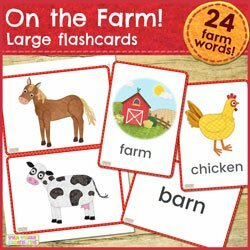 Three sizes available, to cover all your flashcard needs! 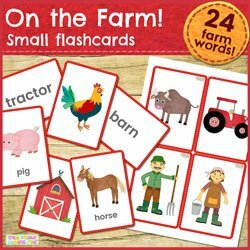 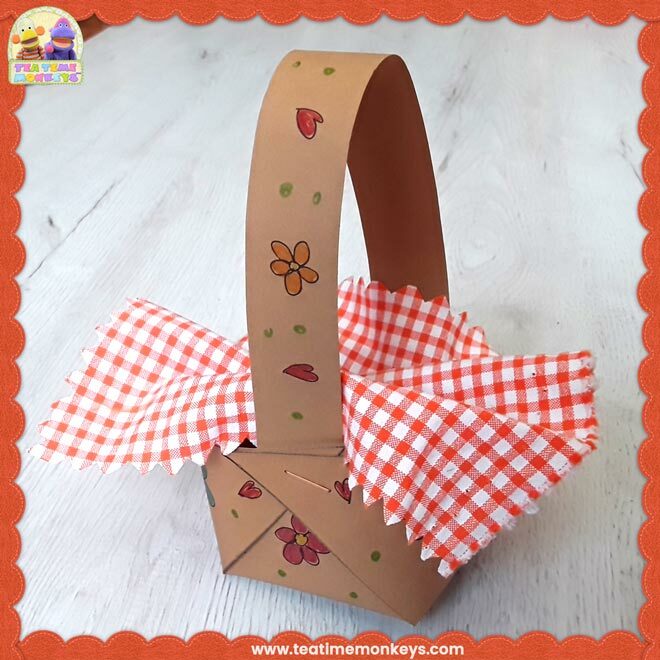 Handy and portable, ideal for farm literacy centres, home use, or if you're out and about with your little one! 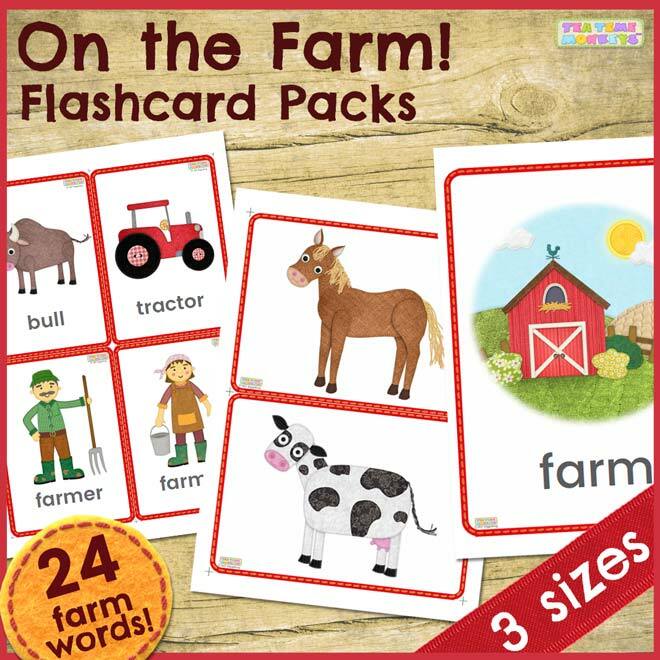 Great for home or classroom use, flashcard games or wall displays. 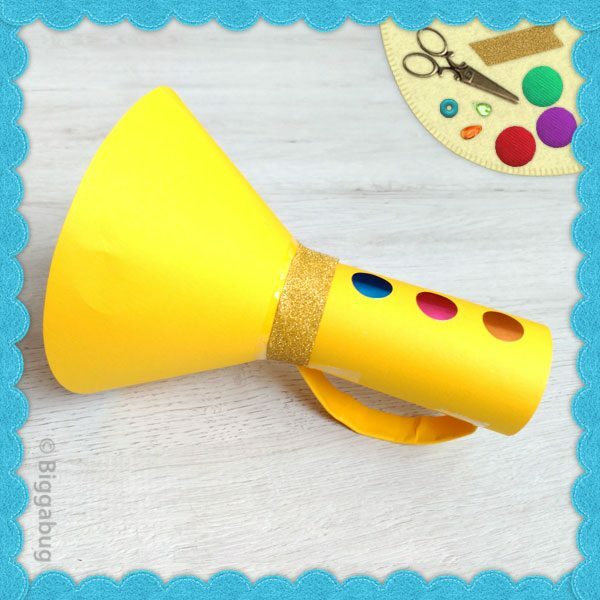 Ideal for use with large classes or as wall decorations. 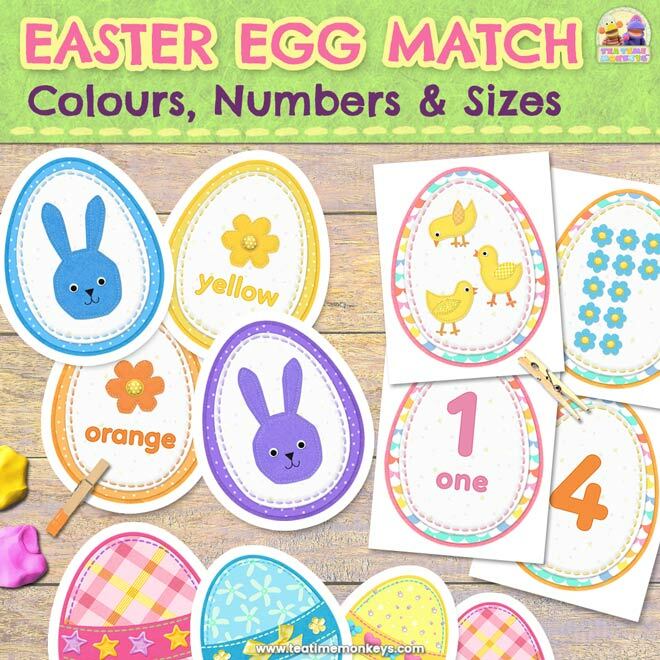 Get all three sizes for the price of two! 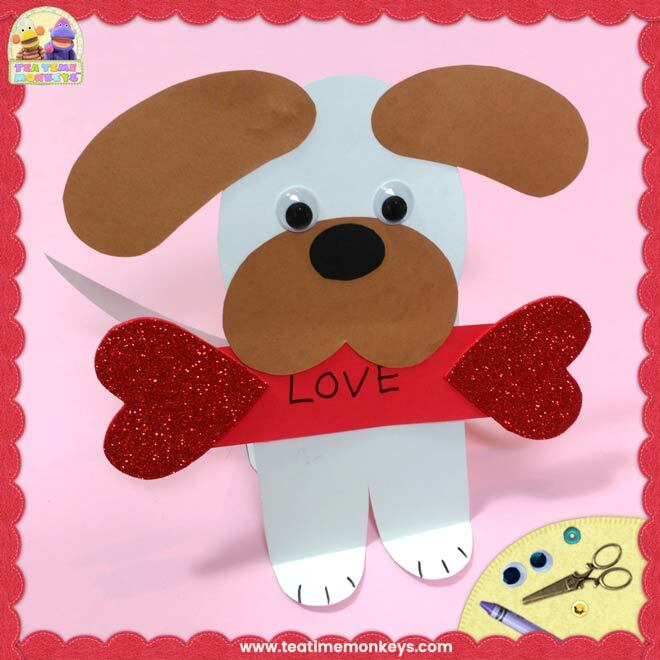 SUBSCRIBE to our free newsletter for updates on all our new resources! 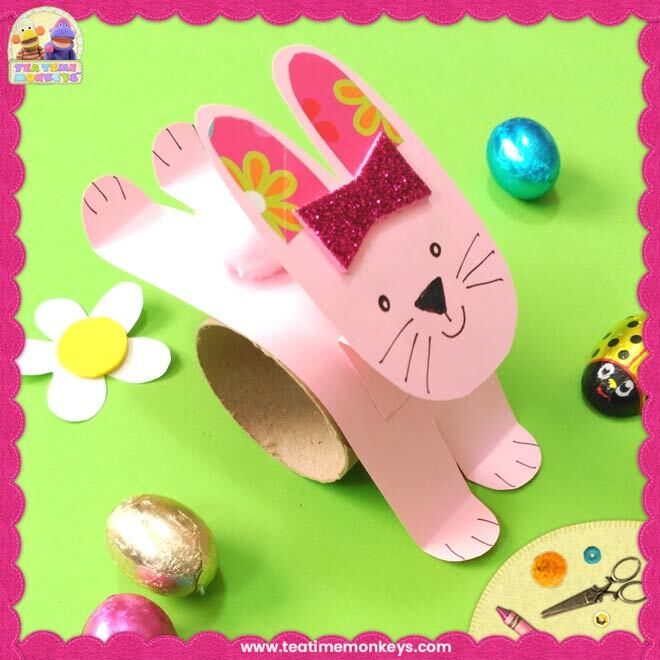 Please read our FAQ for full info about how you can use our materials.